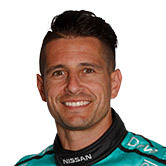 Nissan Motorsport has taken the top two spots in practice with Michael Caruso and James Moffat separated by 0.1269sec at the ITM 500 Auckland. The Altimas were quick in the first one-hour practice session at Pukekohe, with Red Bull Championship chaser Craig Lowndes in third. The Red Bulls were pushing the limits, Lowndes and Jamie Whincup spinning off circuit during the session, as the drivers tackled the New Zealand circuit for the first time since April last year. All cars were on new hard Dunlop tyres this session. Caruso was hopeful the early result was a sign of things to come for the weekend after his 20th and 10th place finishes with Dean Fiore at the last event. "It is nice, particularly after the Gold Coast - we had a bit of a horrid weekend," Caruso said at the end of the session. "The boys turned around the cars after working at the Gold Coast on Monday and Tuesday. Nice to start the day and this weekend,and it's sunny in New Zealand!" The #23 driver raved about the fast Pukekohe Park track. "This track, I think it's one of the most underrated circuits, it's very committed onto the front straight ... to get the most out of these cars we all know you have to be 110 per cent committed. "We'll see what we can do out there." Points leader Mark Winterbottom was home fourth, with local Shane van Gisbergen completing the top five. Three of the four Kiwis ended the session in the 10, with Fabian Coulthard eighth and Scott McLaughlin ninth on the timesheets.